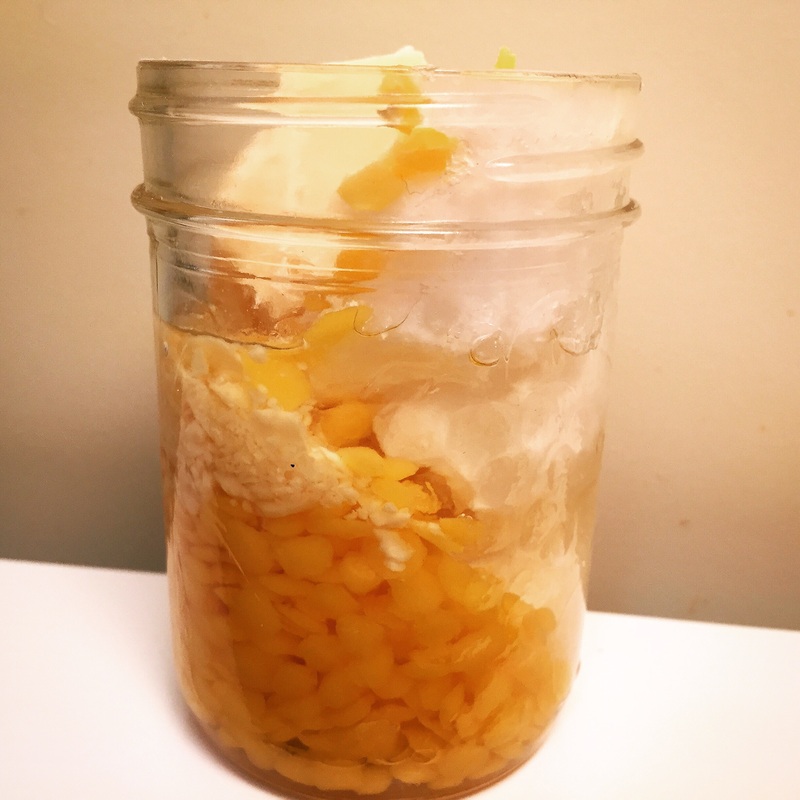 I thought it would be a great time to share a recipe for making an all natural lip balm. These are super easy to make with natural ingredients that are packed with skin loving oils and butters that will nourish and make your lips healthy. I prefer natural ingredient lip balms myself because we absorb what we put on our skin and even though we don’t intend on eating them, since it’s on your lips, you will likely ingest some. For containers, you can use either lip balm pots, or jars that you can re-purpose, or you can buy the lip balm containers online. Here is the recipe; this fills about 9 lip balm tubes. 10 drops of Essential Oil of choice, I love peppermint essential oil for a cooling and refreshing lip balm. Place all ingredients except the essential oil inside the glass jar and let them slowly melt. Remove the jar using a pot holder and place onto an old rag (in case you drop any of the lip balm on it). Wrap the jar with the rag so it keeps warm. Use a plastic dropper to fill or carefully pour the lip balm into containers (pouring is easier into small jars or pots, the lip balm containers are best used with a dropper). Make sure you use the cloth or pot holders to protect your hands, as the jar will be hot! Leave the lip balms until completely hardened. This recipe will make a medium firm lip balm. If you prefer a firmer lip balm, you can add more beeswax. If you prefer a smoother and more oily lip balm, reduce the amount of beeswax or add a bit of soft oil like almond or grape seed. To test, drop a small amount onto a spoon and it will cool quickly to test – if too hard or soft, then adjust to your liking before pouring all of the lip balms. I hope you enjoy this recipe! They make really awesome gifts. Comment below and let me know what essential oils you enjoy! This entry was posted in An Entrepreneur's Journey, My recipes and tagged appreciation, British Columbia, create, fall, journey, summer, transition by A Little Soapy Business. Bookmark the permalink.